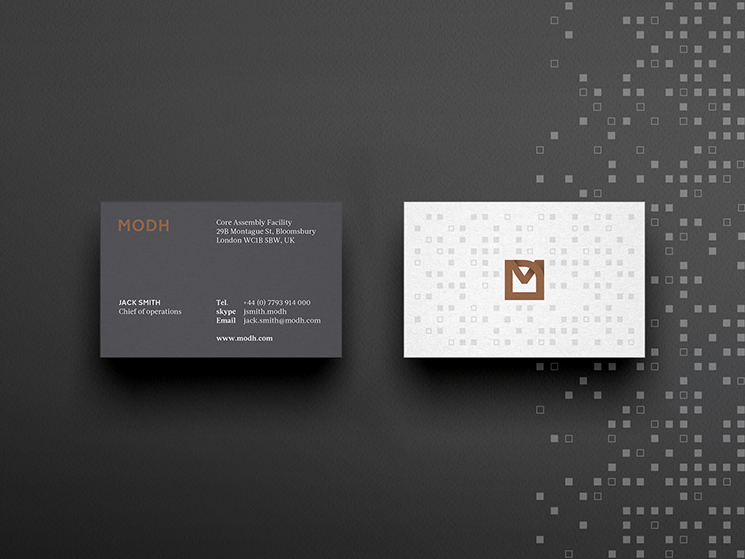 Temper Tantrum designed these business cards for MODH, a German company specialized in modular homes. “The modules are built in a factory and then put together on site, almost as Legos. The company uses quality parts and cobrands with quality manufacturers for fixture and fittings,” said Rui Canedo, founder of Temper Tantrum. 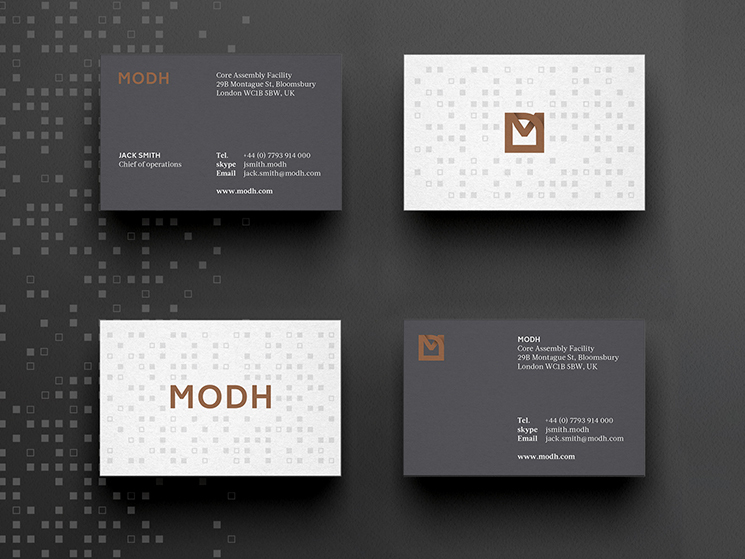 The design idea was to convey that sense of modularity and constructiveness for the brand. To do so, a monogram was created whose form mutates while still maintaining its rigidness and rules, which only something modular can have. “With this in mind a squared grid was created to represent the idea of these modular houses being built and applied next to each other, as if it was in a neighbourhood or any other location. This also meant that the grid doubled as an imaginary map,” Rui said.